Sick of dropped calls or slow speeds on your phone? Fortunately, today is your lucky day. Thanks to the folks at Wi-Ex, we are giving away the zBoost YX-510 signal booster to one lucky reader. It is compatible with just about any cellular network including AT&T, Sprint, T-Mobile, and Verizon. Just setup the antenna and power up the booster for improved signal across your entire home. For those wondering, this device retails for $330 and we are giving it away for free! Step 2: ‘Like’ zBoost on Facebook or Follow @wi_ex on Twitter. Step 3: Enter your name and email into the contest entry form below. If we reach 75 entries before midnight on February 7th, 2011, we will also giveaway the zBoost YX-320 signal booster to a randomly selected contestant. 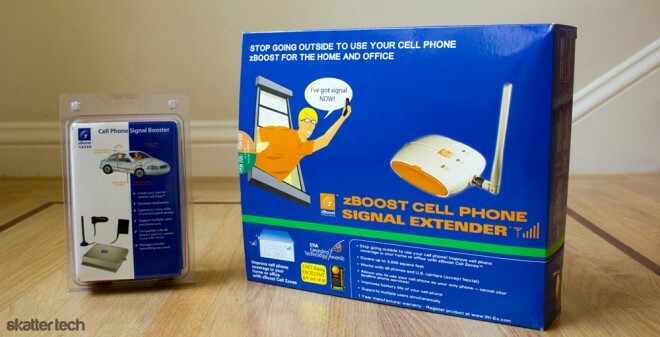 If we do not reach the target, we will still giveaway the zBoost YX-510 signal booster to one lucky person. Your chances of winning a prize actually increase when you let your friends and family know about this giveaway. Only one entry per person. Duplicates are disqualified. The chosen winner will be announced on this post. Winner has 24 hours to respond to our email.